· Trustee of Anandpur Sahib Foundation. · Chairman, since 2002, of the British Sikh Consultative Forum (BSCF) representing some 80 Gurudwaras and Sikh Organisations in the UK, striving for intra-faith and interfaith community cohesion and engagement with the UK Government’s Department for Communities and Local Government (DCLG). · Chairman of Sangat Trust. · International Trustee of Religions for Peace the largest international coalition of representatives from the world’s religions dedicated to promoting peace in more than 70 countries. · Member of the Elijah Board of World’s Religious Leaders (EBRL). Hosted conference in 2007 in Amritsar, India. · Member of the European Council of Religious Leaders (ECRL). Hosted conference in 2007 at Nishkam Centre. · Member of Fetzer Institute’s Advisory Council on World Religious and Spiritualties. · Member of Tony Blair Faith Foundation’s Religious Advisory Council. · Executive Member of Religions for Peace (UK). · Supporter of United Religions Initiative (UK). · Trustee and Chair of the Museum of World Religions (MWR (UK)) working group. · Supporter of the Council for Parliament of the World’s Religions (CPWR), Chicago, USA. · Supporter of Globalisation for the Common Good, promoting an ethical, moral and spiritual vision of globalisation. Hosted conference in 2005 in Kericho, Kenya. · Supporter of the Goldin Institute, working towards building grassroots partnerships for global change. Hosted conference in 2005 in Amritsar, India. · Member of Department for International Development (DfID) Faith Working Group. · Supporter of Jubilee Debt Campaign since its inception. 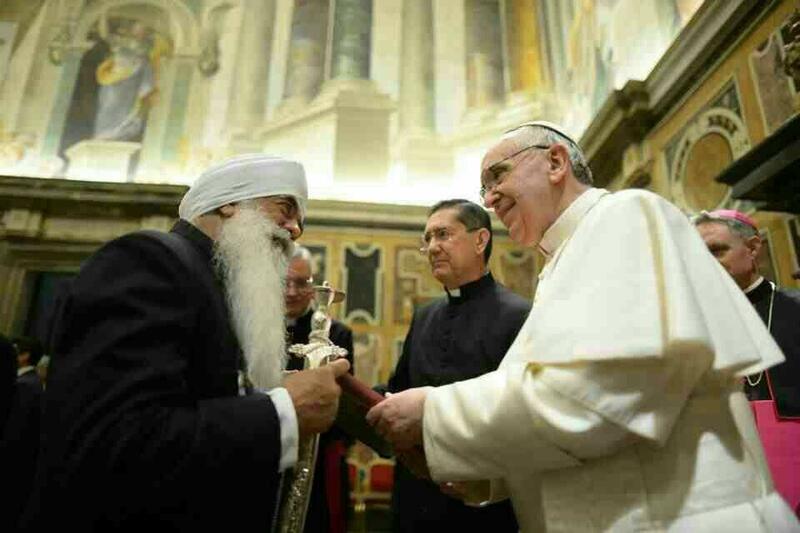 · Participant in Shared Act of Reflection and Commitment by the faith communities of the UK, 2000 and participant in World Peace Prayer, Assisi, 2002 upon the invitation of His Holiness the late John Paul II. · Patron of Divine Onkar Mission, UK, a charity reaching out to people in some of the most remote parts of India. · Trustee of Birmingham Citizens, a social action organisation. · Patron of Sikh Mental Health and Wellbeing Trust. · Executive member of West Midlands Faith Forum. · Member of Birmingham Faith Leaders Group since its inception in 2002.